The chief purser is in charge of organising the accounts and end-of-cruise payments for passengers on board as well as obtaining clearance for the ship to dock. It’s an important role and if you’ve got a complaint about your bill at the end of the cruise, the chances are you’re coming to speak to them! We spoke to Victor Radu Turcu, chief purser at Marella Cruises, about his life on board and what it’s like working on a cruise ship. When did you start working for Marella Cruises? 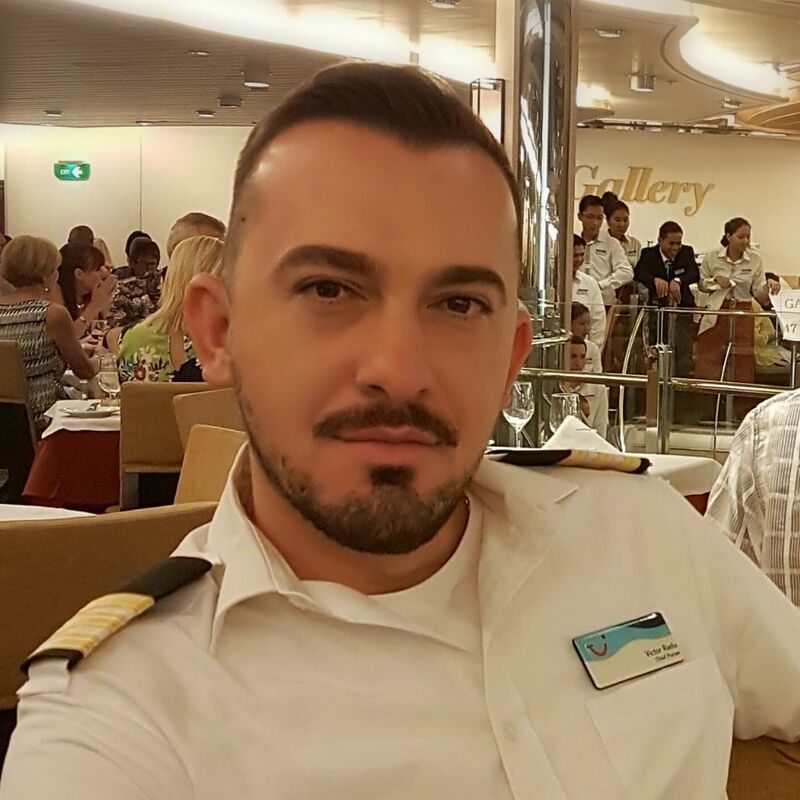 Victor: I began working as a receptionist on Thomson Spirit when she was launched in 2003 and was employed by Louis Cruise Lines. I then transferred to Thomson Cruises in January 2007 and started the role of Shorex Coordinator where I was part of the Destination Services Team onboard, assisting with the day-to-day tasks, promoting our shore excursions to our guests, escorting the tours and also the administrative tasks that came with the role. Which roles have you held while on board? VRT: During my time with Marella Cruises, I have undertaken a number of different roles including receptionist, senior receptionist, shorex coordinator, guest relations manager, financial auditor and chief purser for the last three years. VRT: I love many different things about my job, for example, I get to work with an amazing team of people from all over the world, I wake up every morning in a different port and amazing destinations, but most of all I enjoy seeing our guests having a good time on our ships. VRT: I love food and fine dining so as I child I aspired to become a chef. However, when I was about 21/22 years old, I found I wanted to work on a cruise ship. This was initially because I was really curious and also because I had a plan to travel around the world anyway, so working on a cruise ship gave me the best of both worlds! Which is your favourite restaurant on board and why? VRT: The Sushi Bar on Marella Discovery would be my favourite. I love the overall experience – and I love sushi in general! 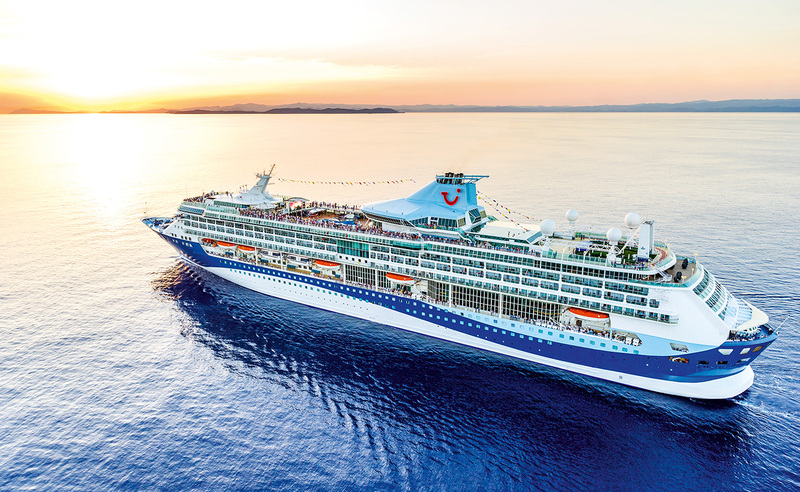 What is your favourite itinerary Marella Cruises offers? VRT: I love the itineraries that visit the Norwegian Fjords and Iceland because I was raised in Transylvania, so being away from home and being able to sail the Fjords reminds me of my birth place and brings a sense of home to me. What is your magic ingredient that helps you deliver the best service to your customers? VRT: It is really simple – passion and dedication! If you love your job, you will never fail. What would be your key piece of advice to first-time cruisers? VRT: Sit back, relax and allow the wonderful crew to do the magic. There is no need to worry about anything as the crew are there to look after you every step of the way and make your experience one to remember. We visit so many amazing and unforgettable destinations and the best way to experience these is to join the fab tours and excursions we offer. What is the most rewarding thing about working for Marella Cruises? VRT: I love working for Marella Cruises, I have been able to develop as an individual, given the opportunity to do a number of various roles that have all taught me many skills. I have worked my way up to being a chief purser. My overall aim is to grow even more and I am looking forward to seeing what the future holds!